Value of antique Brass Kitchen Faucets may vary rather significantly. Handy brand Antique bronze faucet is from Guangdong, China, where is a faucet production Area, mainly supply to European, America. 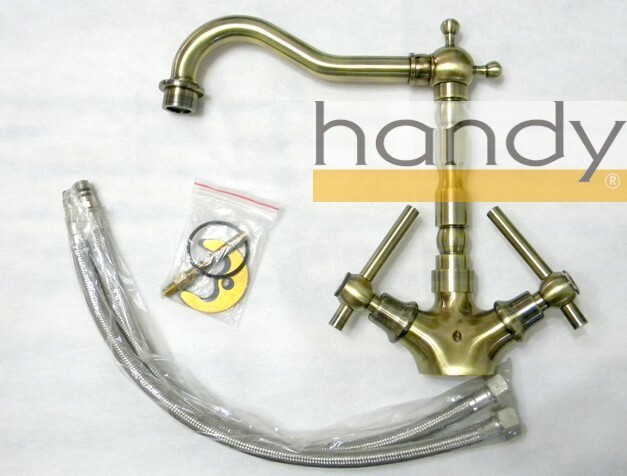 Faucet main body made of H59 brass, electro plating thickness reach to 8 ~ 12 micron. Ceramic cartridge, two handles independent operated for hot and cold water respectively. Water pipe with spout can be 360 ° swivel. When choosing antique Brass Kitchen Faucet and other accessories for retro, country and classic style interiors it is very important to make sure that style, shade of color and size of all the items match perfectly. So we have Antique Bathroom faucets supply, you can look for a full set of your family need from us. Material: H59 Brass main body. 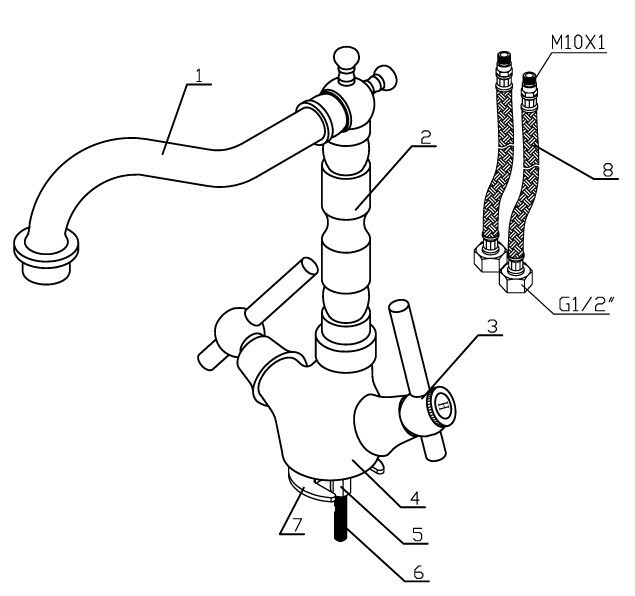 Single hole installation, spout can be 360° swivel. Archaize of Europe type, clavate quick-open handle, independent operated. Bubbler in outlet makes the stream more smoothly. Fields of applications: Single hole kitchen faucet, Antique Bronze Kitchen Faucets, Antique Bronze bathroom faucets, two handles kitchen faucets, Classic kitchen faucets. 4. Individual Package: Individual package and 10 units packed with carton. 7. Simples ready within a week. 8. Factory has strong production ability, delivery on time. 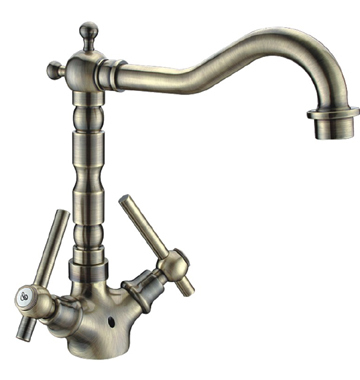 Looking for ideal Antique Bronze Kitchen Faucet Manufacturer & supplier ? We have a wide selection at great prices to help you get creative. 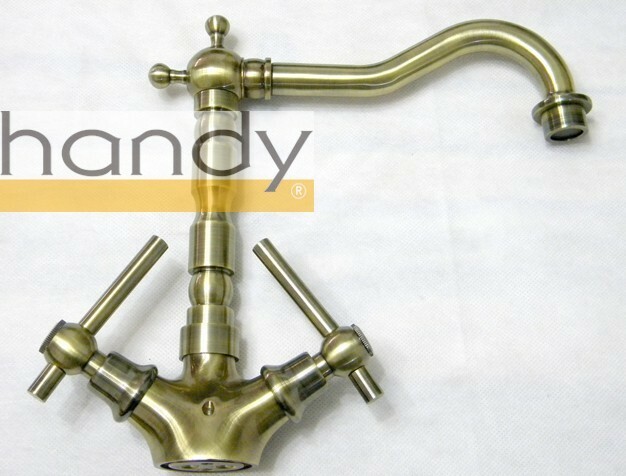 All the Two Handles Antique Brass Faucet are quality guaranteed. We are China Origin Factory of Antique Kitchen Faucet. If you have any question, please feel free to contact us.